It has been a stellar year. We distributed (documented) almost 40,000 lbs of dry dog and cat food. Approx 13,000 lbs of canned (and packaged food). We do not document the rabbit, ferret or bird food but, we’ve given away a lot. We have given more food than documented away for emergency/one time situations such as flood victims, those evicted or other emergencies. Several hundred lbs of litter and treats. 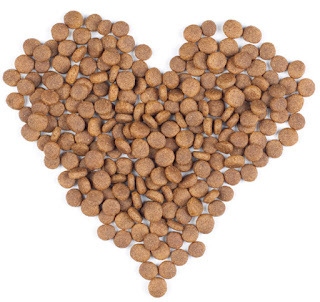 Hundreds of bowls, collars, leashes, flea treatments and more. MOST EXCITING...we have covered the cost for over 123 dogs and cats to get fixed! This doesn’t include the pets we’ve signed up for the FREE Carol House Fixes (Thank you Carol House) nor have we received our Carol House invoice for December. Sadly, we covered the cost for 3 dogs and 2 cats to be humanely euthanized due to their owners not having the funds. No animal should suffer because their owners are poor. This year we started working with the Jefferson County Dept. of Health and Senior Services. We were able to provide food, flea treatment (home/pets), vetting and vaccinations to some desperate residents in need. Our Thrift Store is not only a means for us to raise funds but, we have been able to provide clothing, shoes, house-wares, blankets and other necessities to those down on their luck. Many thanks to the organizations who have helped us throughout this year. Girl Scouts, Boy Scouts, Church Groups, Jefferson County Juvenile Courts, Kohl’s Associates in Action and many more. Thank you to Carol House Quick Fix, Ivan Animal Hospital and Arnold Animal Hospital for taking such good care of our members pets. Thanks to our drop off pet food locations. Thanks to our supporters, donors and special thanks and much love to my dedicated volunteers.